The Holi is not just about drenching colours, the festival of colours is also about love, joy, happiness, and care. It is the festival where the atmosphere is filled with mischief, people immerse in colours and gorge on Holi special delicacies. In 2019 Holika Dahan will be celebrated on March 20 and Holi on March 21. Holi is the perfect time to send warm wishes to your near and dear ones. We have compiled a list of Happy Holi 2019 wishes and images to share on SMS, WhatsApp, and Facebook. Maybe this Holi adds even more colours to your life. 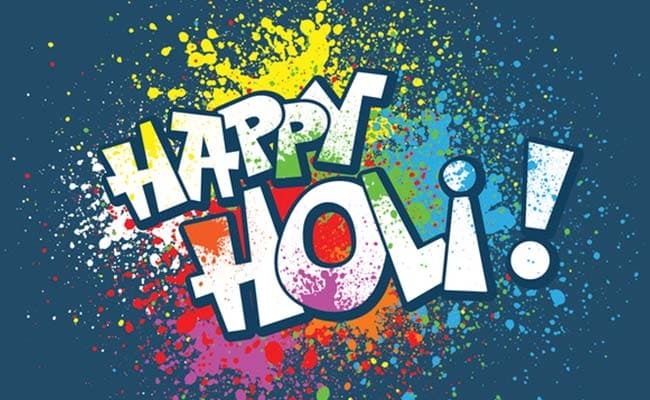 Wish you and your family a very Happy Holi! May all the colours of the rainbow bless your life. Have a blast this Holi! Let this Holi take away all your worries and fill your life with all you wish for. Wishing you and your family a fabulous Holi. May the festival bring excitement in your life. Burn all negativity and bring all positivity in life. Celebrate this Holi with vibrant colours. Holi is the perfect day to strengthen the bond of every relationship and get closer. Never let the chance waste in vain and enjoy the festival to its fullest! And melodious songs to dance are the most profound ingredients of a perfect Holi.